In today’s article, we present to you several exercises that will help you achieve remarkable results in only a few weeks time. Start in a push-up position, but place your elbows on the ground as well. 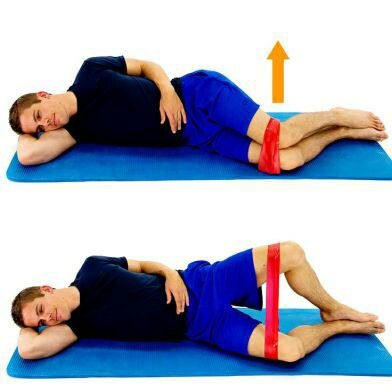 Then twist your left hip till it touches the mat and then returns in the starting position. After that repeat on the opposite side. Repeat this exercise 10 times on both sides. Lay down on your back and place your feet on the ground. Lift your body in the air as much as you can. 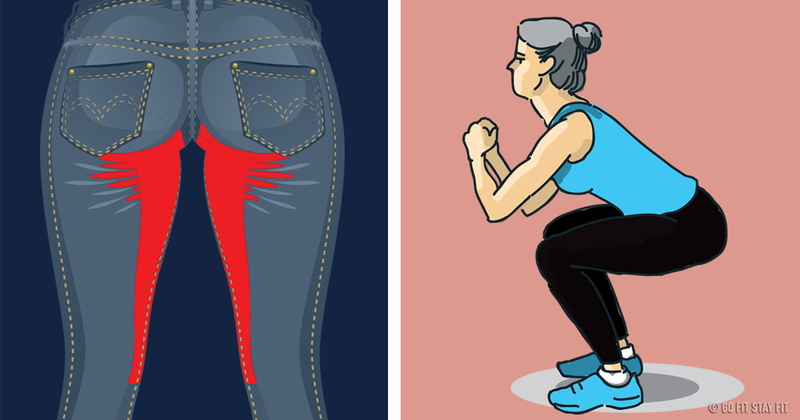 Squeeze the glutes hard at the top of the move and push your hips as high up. Repeat this exercise 10 times. Your initial position should be feet shoulder-width apart and your hands on your hips. Step forward with one leg and the other touches the ground with the knee. Switch on the other leg and repeat the exercise 20 times. Get on the ground and lay on your right side. Then place your right hand behind your head and bend your stacked knees. Lift your right knee up and try to keep your feet together. Hold the position for several seconds and then lower your leg down. Repeat this exercise for 10 times before then switch sides. Lay down on the floor place your hands firmly on the ground and extend your legs. Rise up your heels around 6 inches and make small, rapid up and down scissor. Repeat this exercise 10 times. Sit down on the floor, lif your legs and back as much as you can. With your arms spread forward, turn to one side of the body and then to the next. Repeat this exercise for 10 times.